Presentations + Writing – Let's design a better future, together. Johnstone, Anika & Moffat, Ian, May 2017, ‘Opinion: Time to embrace public engagement to secure research funding’, Campus Review. Moffat, Ian & Johnstone, Anika, May 2017, ‘Pilot study on why academics should engage with others in the community’, The Conversation. 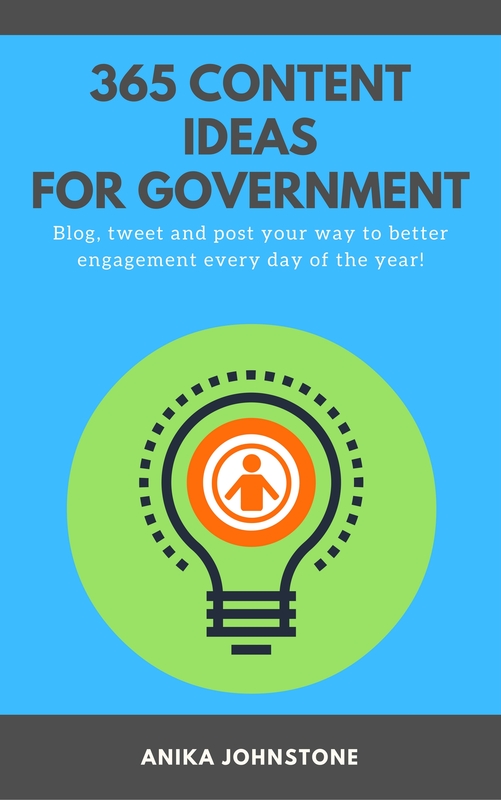 Johnstone, Anika, 2016, 365 Content Ideas For Government, eBook, Amazon Kindle. Johnstone, Anika, 2016, 365 Content Ideas For Any Business, eBook, Amazon Kindle. Hyperconnected Museums – New Approaches, New Publics, panel member, History Trust of South Australia, 15 may 2018. My favourite (cheap and easy) design tools to solve problems with people, Community and Stakeholder Engagement Conference, Adelaide, 13-14 March, 2018. It’s not about the robots, Better Together Showcase 12 – Bit Players or Game Changers?, Science Exchange, Adelaide, July 2017. Getting Digital: A lesson is thinking more about humans, Public Sector Network Digital Service Innovation Series, Adelaide, September 2016. Digital transformation for water utilities – a practical (human) guide, WSAA Towards A Digital Water Utility Conference, Melbourne, September 2015. Making your digital strategy work: 6 critical success factors, Ozwater National Conference 2015, Adelaide, March 2015. Engage, Design, Engage again: A look inside SA Water’s customer experience and digital strategy journey, Community Engagement via Interactive Media Workshop, Adelaide, November 2014. Social Media Management, Hootsuite, RiAus and SocAdl Hootup, RiAus, Adelaide, July 2014. From Factsheets to High Scores: Gamification for Community Engagement and Education. Social Media and Digital for Government 2014 Workshop Series, Adelaide, June 2014. Keeping up to Trend with Emerging Social Media Tools: A Case Study, Social Media and Communication for Government 2013 Workshop Series, Adelaide, April 2013. Operation Desal: Communication Through Interpretation at the Adelaide Desalination Plant, Australian Water Association Water Education Conference, Sydney, March 2013.